Plumbing Certificate of Compliance now Compulsory. Did you know from the 1 April 2011 that every house that is sold or purchased needs a plumbing Certificate of Compliance? 1)The Hot Water Cylinder is plumbed correctly and installed to SANS Standards. 2) The water meter is not running constantly and is reading when the water is opened on the property. 4) All the pipes are secured in the roof space. 5) There is no cross connection between the potable supply and any grey water or groundwater system which may be installed. 6) No stormwater is discharged into the sewerage system. 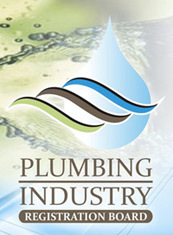 24 Seven Plumbing is a registered plumbing company. We inspect and repair any plumbing issues related to the certificate of compliance. The charges for a Certificate of Compliance is R330 plus vat. So for all your Certificate of Compliance and plumbing needs give 24Seven Plumbing a call.